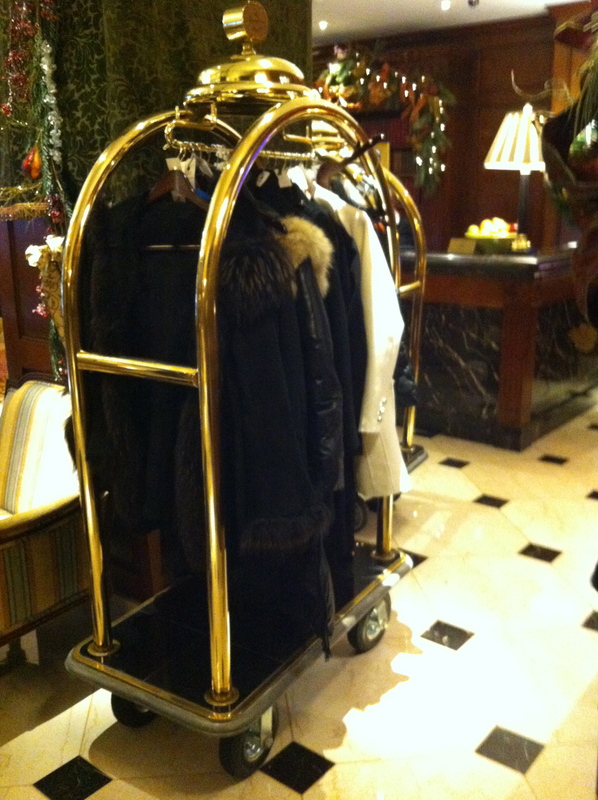 December 2012, a friend turning fifty hosted a celebratory tea at an elegant hotel, and I misbehaved. I had no reason to be disagreeable—every element of the afternoon was to my liking. My friend is British (I’m a sucker for Brits), a woman with the effortless good manners I associate with her country and the girlish élan I associate with Mary Tyler Moore flinging her hat up in the air. She’s lovely. The hotel was also lovely, tastefully decorated in jewel tones with fresh garland everywhere. I drank hot tea out of a china teacup (my version of shaken not stirred) and ate two scones and three crustless sandwiches. All things considered, I should have been filled with the same generous spirit that moved Scrooge to throw open his windows on Christmas morning and hire a boy to deliver a fat turkey to the Cratchit family. Instead I acted more like one of Scrooge’s gruesome ghosts. 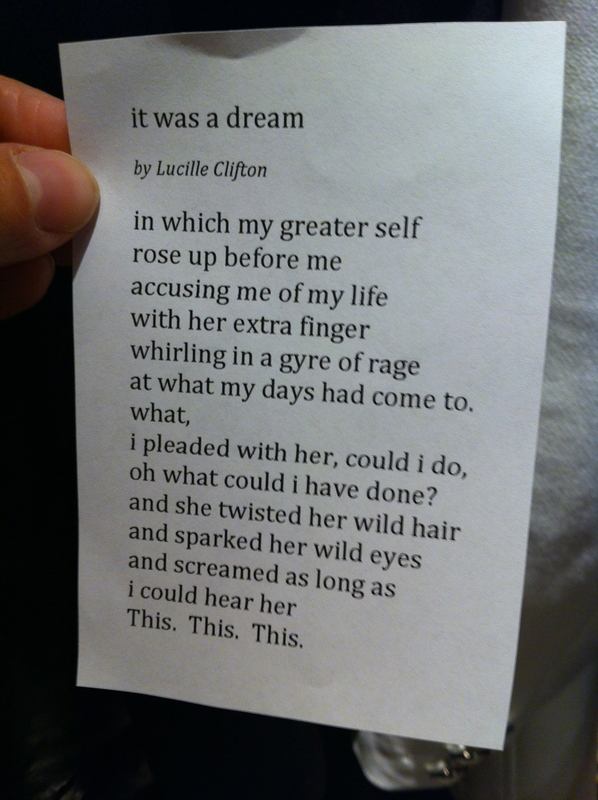 That afternoon I double poem-elfed the esteemed Lucille Clifton. Like the little girl with the curl right in the middle of her forehead, I was very, very good with the first one and nearly horrid with the second. 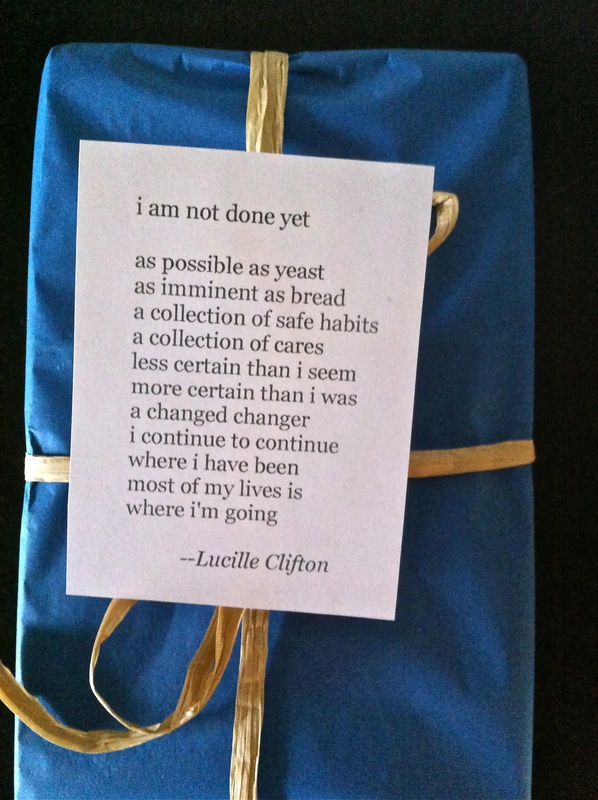 The first poem, Lucille Clifton’s “i am not done yet,” I included with my friend’s birthday present. As I was leaving the hotel, I slipped Clifton’s “it was a dream” in the pocket of a stranger’s coat. this poem . . .
One poem speaks of the possibilities of life at any age. The other of regret. I feel bad for the stranger who, coming home from a fancy lunch, discovered the second poem in her pocket. She wonders what kind of omen it is, why she was singled out for her private failures, who marked her with such spite. On the off chance that she will ever read this post, let me tell her that I’m sorry. The poem was not meant for her, or rather, the poem is meant for everyone. Both poems are. Turning fifty, or turning any milestone age, we look forward and back. To the world we announce that we’re excited by life’s possibilities. To ourselves we say, you could have done so much better. (i am) as possible as yeast. Or recite the whole of it in the shower. Better yet, shout it. It’s a shouting kind of poem. What I love about this poem is how honest Clifton is about her shortcomings. She recognizes that she plays it too safe, worries too much, wobbles in her beliefs. But she’s forgiving and ever hopeful of improving. It’s a cliché to announce that we are all works in progress, but the second we forget that modern proverb is the second we step towards despair or arrogance. In the second poem, “it was a dream,” the speaker is attacked by a harpy. 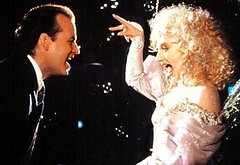 (I picture the shrieking Carol Kane from Bill Murray’s Scrooged.) Clifton calls this harpy her “greater self,” which is amusing because this “greater self,” with her unkempt hair and crazy eyes, seems more like a homeless woman who screams at passersby. The extra finger and outsized rage suggest a witch, hardly a being typically considered a greater self. Greater Self uses the extra finger to point out the person Clifton could have been had she lived her life better. The poem changed slightly for me when I found out that Clifton actually did have an extra finger on each hand. She was born, as was her mother and one of her daughters, with a hereditary condition called polydactylism. Her extra fingers, connections to the women in her family past and present, were amputated when she was a little girl. Would she be a different person—This, as the greater self announces in a rare moment of capitalization—if her given body in all its uniqueness had been accepted? Despite feeling unkind for foisting the second poem on a complete stranger, I’m pleased with how the poems fit together. Most of us recognize ourselves in both poems. In the same moment we look forward with hope and say, “where I have been/ most of my lives is/ where I’m going,” we can look back with regret and moan, “oh what could I have done?” We live between the promise and the product, between the yeast and the bread. And so our contradictions are never entirely resolved. I say sometimes at readings something I heard an old preacher say a long time ago. “I come to comfort the afflicted and to afflict the comfortable.” Of course, I would be nuts if I didn’t see the negativity and despair in the world, if I didn’t sometimes feel it myself. I am always hopeful, because that’s the kind of personality I have. But it does not mean that I do not see what there is to be seen and do not feel what any other human being would feel. I revere Clifton, as I do Ruth Stone, and consider her the grand dame of American poetry. Like Billy Collins, she straddles the line between popular and literary poetry. Her work has been compared to Emily Dickinson in its compression. Clifto n was born in New York in 1936. Her father was a steelworker who sexually abused her, and her mother was a laundress and gifted poet with little formal education. At age sixteen Clifton attended Howard University as a drama major. She finished her studies in New York. She had six children with her husband Fred, a professor at the University of Buffalo. She was the poet laureate of my home state of Maryland where she eventually settled. 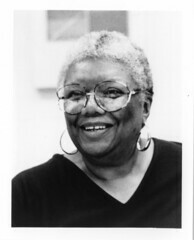 She won the National Book Award and was the first African-American woman to win the prestigious Ruth Lilly Prize. She had a separate career as a writer of children’s books and the most unusual career for a famous poet I’ve ever heard of: Jeopardy show champion. She died in 2010 at age 73. Clifton suffered many setbacks in her life: sexual abuse, the early loss of her mother, cancer, the death of her husband and two of her children. Yet from all accounts she remained joyful and full of life. A Greater Self indeed.